Greetings for all. I am Rif'atunnisa. Famotiva.com is one of my personal blogs. Since my childhood, I do love reading, writing and playing. Alhamdulillah, I am faithful to these three things until now. One day, my lecturer said, there are lots of hobbies to be happier. So, don't hesitate to add your hobby if it would be making your heart happy. Well, are you curious why this blog is called Famotiva? 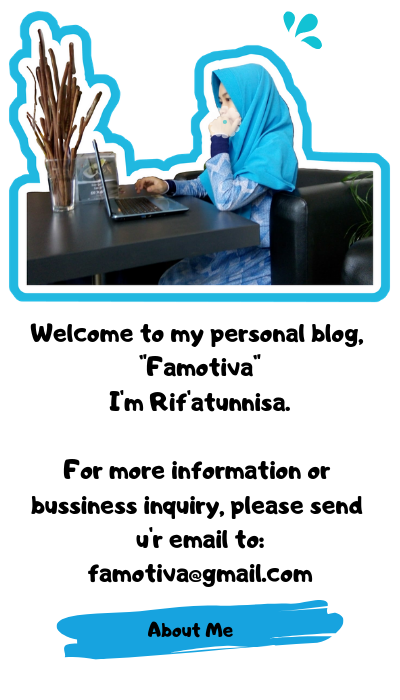 Famotiva is a hope that this blog can inspire and motivate others. "Fa" is taken from my name "Rifa", "Motiva" is taken from the word "Motivation". Hopefully, the writings who will be born here can provide and motivate the readers. Here, I wrote everything and do not focus on one theme. The important thing for me in writing is how to get the heart of the reader. In addition, try to write something useful. Not only for yourself, but also for others. In 2015, I started writing on a blog. Then in 2017, I began to pursue the blogging world even further. Alhamdulillah, I am surrounded by family and good friends. Until now, I am still learning and continuing to gain knowledge about the blogging world to everyone who capable on it. For me, study whenever wherever and to whoever. 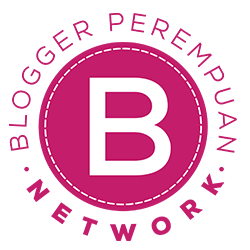 I have studied at At-Taqwa Islamic Boarding School for Girls, Bekasi and also in Bogor EduCARE, Bogor. Now, I'm studying at Indonesia Open University in Jakarta. Meanwhile, Famotiva.com is my personal blog. Besides, my friends and I also have written an Islamic article on Pemuda Kahfi application. For more info about Pemuda Kahfi application, you can download it on Play Store with its name keyword. Currently, I am being a freelancer for a content writer. 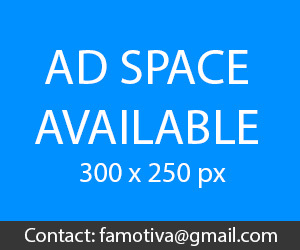 For a partnership or business inquiry about writing article, review and many more or if you want to give me some criticism and suggestion, please send it to famotiva@gmail.com. In the end, I hope all creation in my blog would be inspiring and motivating who has youthful.